Takes 30 Minutes , serves 12. 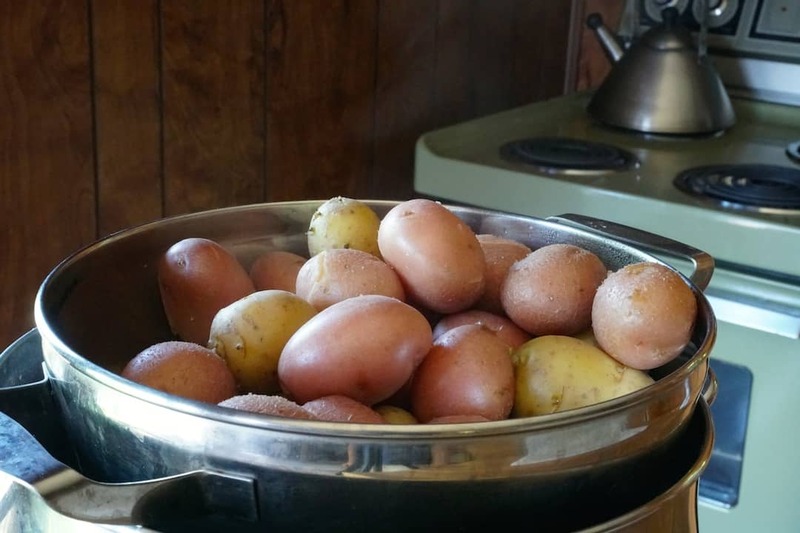 Place potatoes into a large pot, cover with water and bring to a boil. Reduce to simmer and cook until potatoes are fork-tender. Strain and cool for about 5 minutes before slicing. Transfer sliced potatoes to a large bowl. Add beef stock, stir and cover with plastic wrap. Let sit for 15 minutes. Uncover the bowl and add the oil and vinegar, followed by the celery, onions and chopped herbs. Toss gently and season with salt and pepper to taste. To serve: Add a bit more salt and pepper and a sprinkle of fresh herbs. 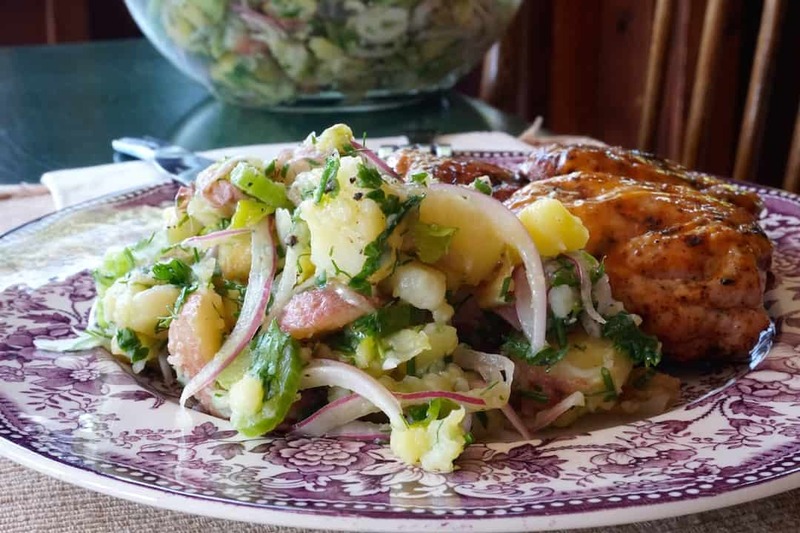 Looking for the taste of a CLASSIC POTATO SALAD recipe that goes with everything? This stellar salad delivers exactly that. There’s potato salad and then there’s potato salad. With just a few simple tweaks, we take this casual but beloved staple to a whole new level. 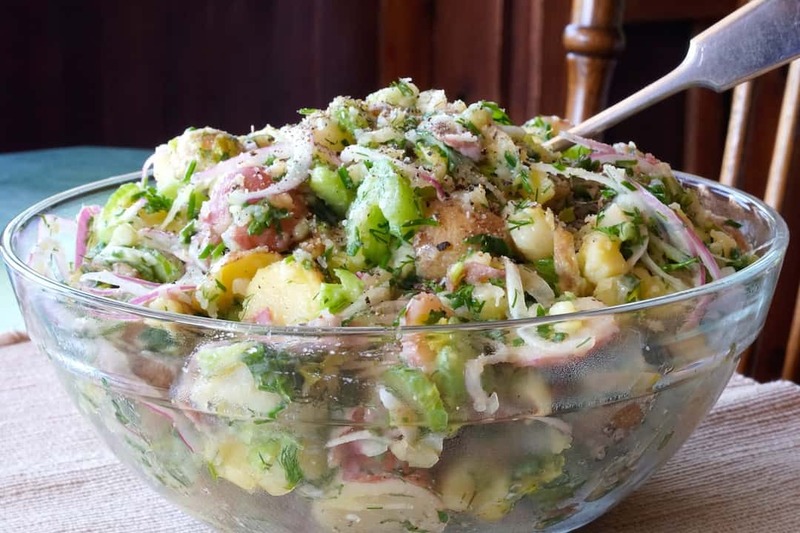 Our CLASSIC POTATO SALAD recipe is the new benchmark, perfect for relaxed meals, picnics, family get-togethers, and even fancy dinners too. 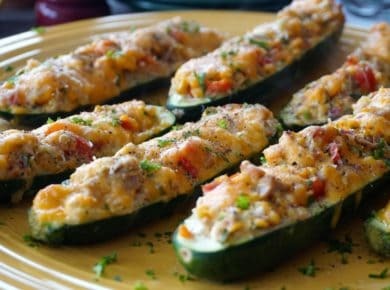 Making this absolutely delicious salad is easy to accomplish, but we’re especially pleased with its versatility. 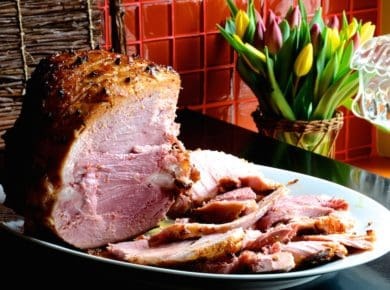 It pairs well with everything from simple sandwiches to more impressive main courses. 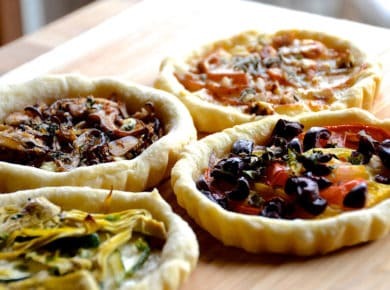 Make sure to read our list of favourite suggested pairings at the end of this post. POTATOES – We used a combination of red and yellow mini potatoes from The Little Potato Company, and loved the colour combination these two varieties created. There’s also a subtle variation in taste between the two, which adds a lovely mix to the flavour profile. 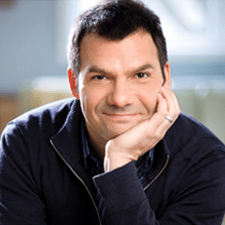 ONIONS – Don’t be alarmed at the addition of raw onion – onions are our friends! 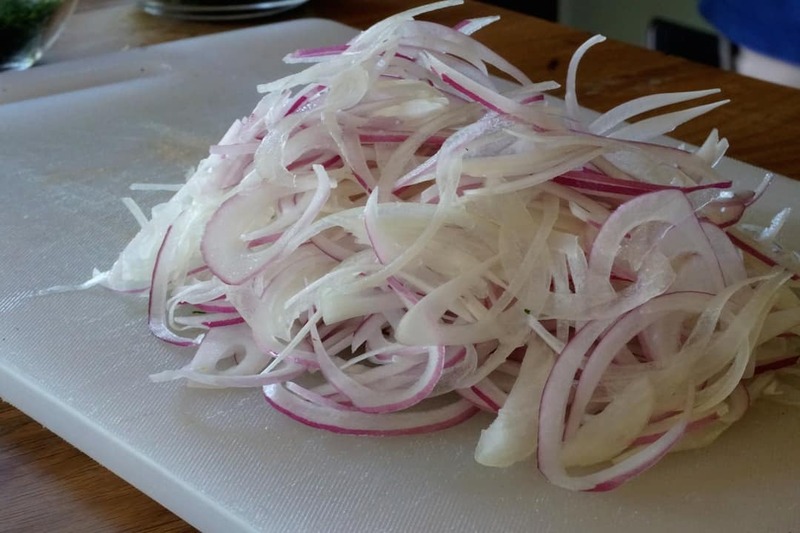 That said, these onions shine in this recipe thanks to the way we prepare them: thinly shaved using a vegetable mandoline (a link to purchase a mandoline appears below). If you don’t have a mandoline the same results can be achieved by slicing the onion by hand, just make sure you’re using a freshly sharpened knife. 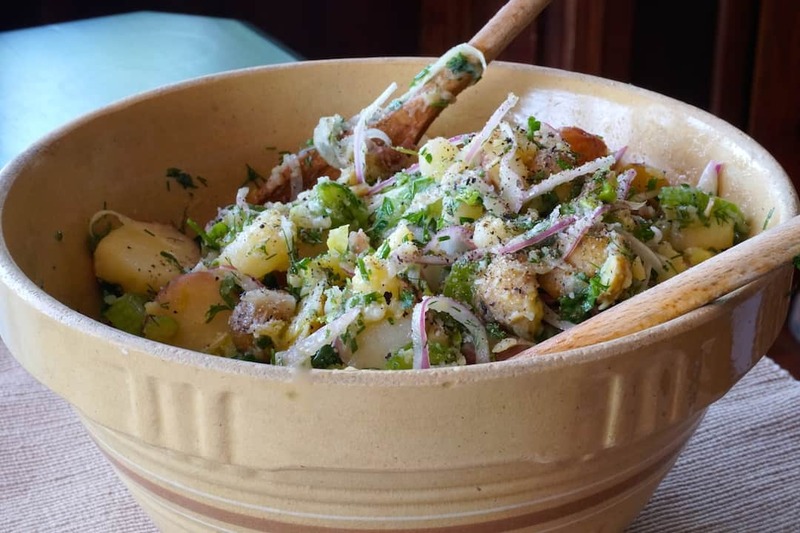 CELERY – Boiled potatoes and shaved onions are the soft components in this salad while the celery gives it crunch and flavour. When prepping your celery, try to add in the leafy top bits too; they add texture and a vibrant colour. 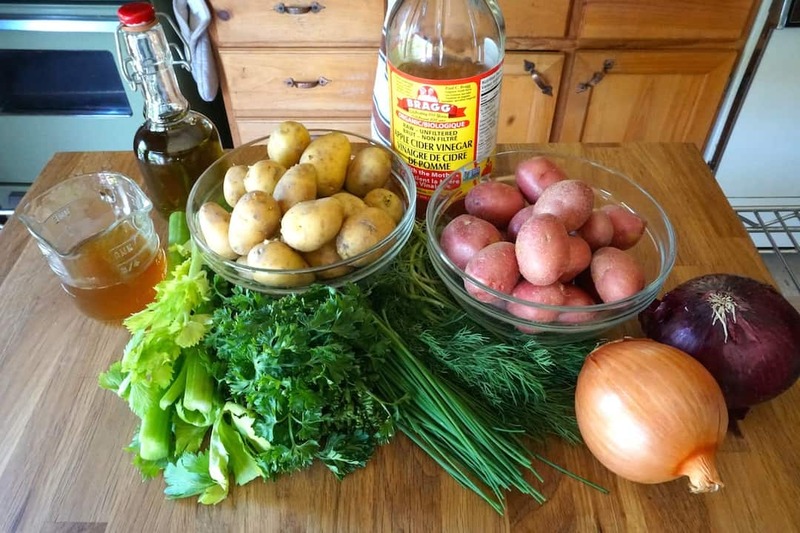 FRESH HERBS – Many potato salad recipes call for the addition of chopped dill but we tossed in both parsley and chives to offer more flavour. We’re happy we did – these three herbs compliment each other and the other ingredients perfectly. BEEF STOCK – The idea of adding beef stock (yes, beef stock) to this salad came from a group of ladies I met at an event years ago. I was a bit skeptical at first but now think it the most ingenious of suggestions. Ultimately, it provides a bit of liquid for the cooked potatoes to soak up before tossing the salad. 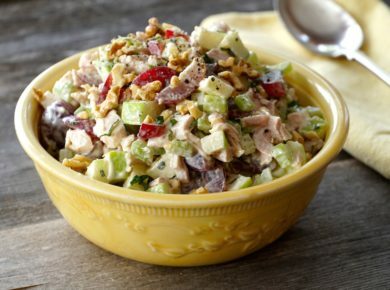 Say goodbye to dry potato salad and hello to wondrous flavour! 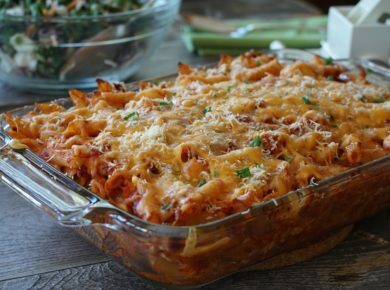 If you’re making this for a crowd with vegetarians in your midst, feel free to substitute with vegetable stock. GO FORWARD – Serve this salad from a large bowl soon after you prepare it, adding some salt, pepper and a bit more of the chopped herbs right before you do. 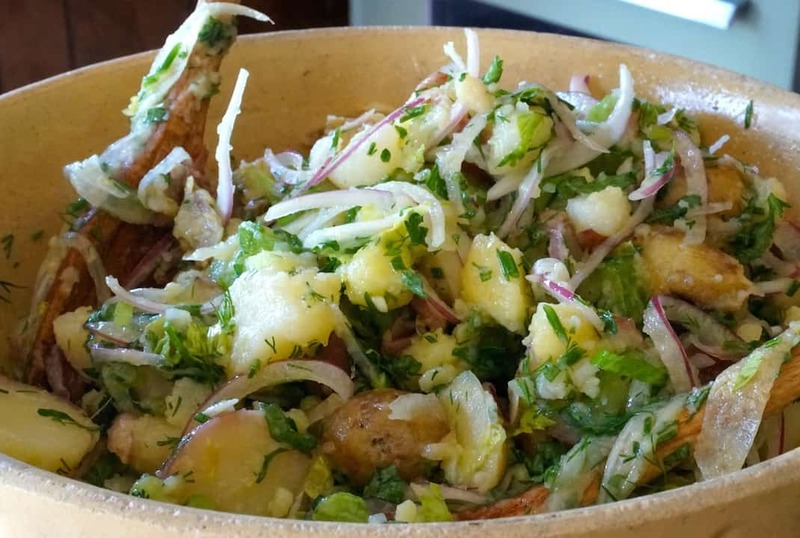 Our CLASSIC POTATO SALAD recipe also travels well. Make it in advance and take it along for others to enjoy. Options on what to serve this tasty salad with are limitless. Some of our favourite combinations include our GRILLED PANINI SANDWICHES, PERFECT BURGERS and CONEY ISLAND HOT DOGS. 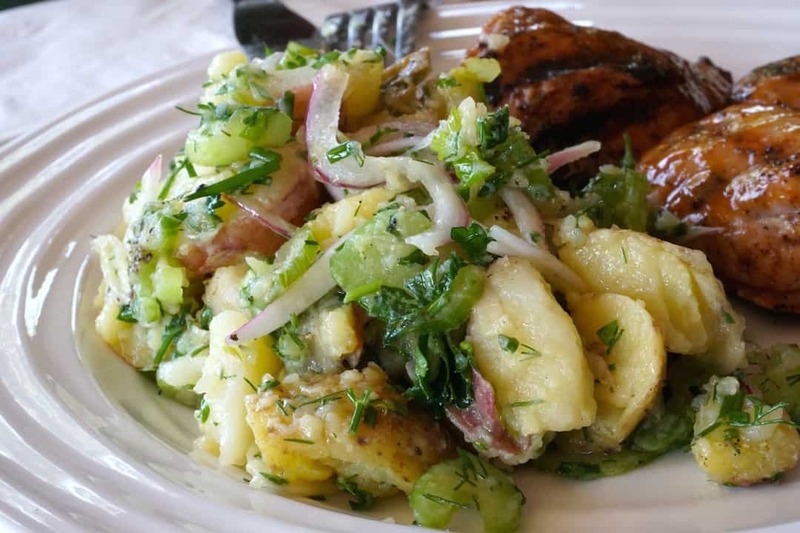 Make our CLASSIC POTATO SALAD recipe and make your next meal amazing!